The new Meizu 16th features flagship specifications and features, but faces a tough fight in its price segment from the Asus Zenfone 5Z and Xiaomi Poco F1. Meizu has returned to India, and its latest flagship offering in the country is the Meizu 16th. A re-branded version of the Meizu 16 that was launched in China in August this year, the Rs 39,999 Meizu 16th packs in a flagship specification set and a compact form factor that will help it stand out. 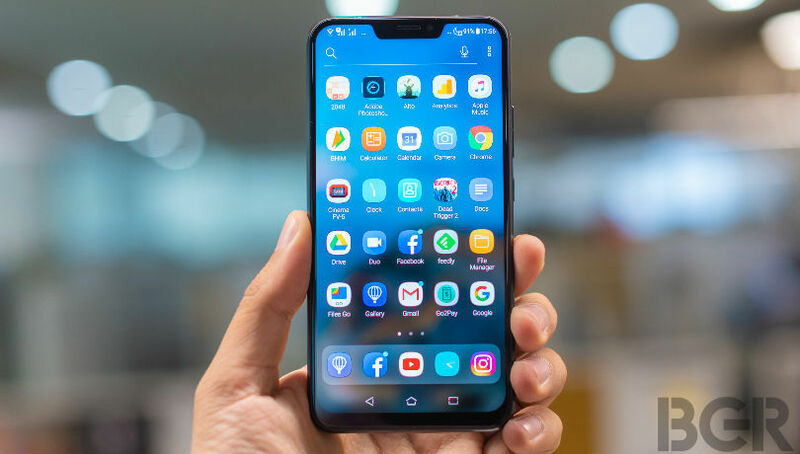 However, the smartphone faces tough competition from two other established brands in India in its price segment: the Asus Zenfone 5Z and Xiaomi Poco F1. We take a look at what defines these three smartphones, all powered by similar hardware and sporting flagship-grade features. Can the Meizu 16th make an impact on its return, or will established brand names and superior marketing keep the ball firmly in the court of Asus and Xiaomi in this segment? Let’s find out. The notch may itself be a compromise, but it represents a screen that stretches all the way to the top. 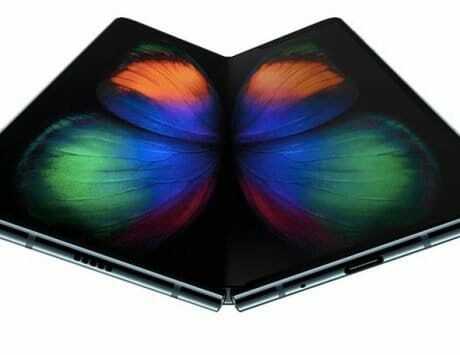 The obvious aesthetic advantages of this have made notched phones popular, and the Asus Zenfone 5Z and Xiaomi Poco F1 both sport notched IPS-LCD screens. The Meizu 16th, in comparison, comes with an 18:9 full-HD+ AMOLED screen with no notch. 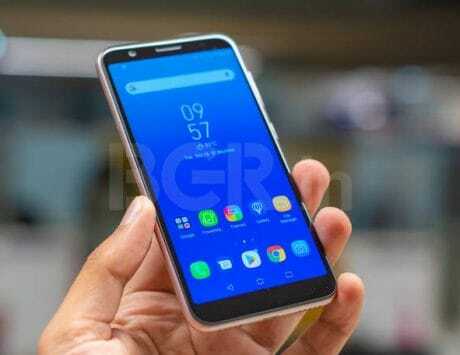 You therefore get a distinct forehead and chin on the phone above and below the 6-inch screen, but the AMOLED display is a distinct advantage here. In terms of design, the Meizu has the smallest screen and feels the most compact of the three. It also comes with what is in our opinion the best build and hand feel. The Asus Zenfone 5Z features a similar metal and glass build combination, while the Xiaomi Poco F1 sports a plastic build that feels the least premium of the three. All three phones here are powered by the Qualcomm Snapdragon 845 SoC, which is currently considered one of the best chipsets for Android smartphones. All three phones come with up to 8GB of RAM as well, with the Asus and Xiaomi option featuring 6GB RAM options as base variants. While the Meizu 16th comes in a single 8GB/128GB option, the Asus and Xiaomi devices have configurations with up to 8GB of RAM and 256GB of storage. The Xiaomi Poco F1 has the largest battery of the three phones here, with a 4,000mAh unit powering the device. The more compact form factors of the Asus and Meizu devices mean smaller batteries at 3,300mAh and 3,010mAh respectively. All three phones also feature fast charging to quickly top up the batteries. While the Asus and Xiaomi phones sport traditional rear-mounted fingerprint sensors, the Meizu 16th has an optical in-display fingerprint sensor. The always-on mode on the AMOLED screen allows Meizu to keep this sensor active when needed, making unlocking as easy as with a traditional sensor. 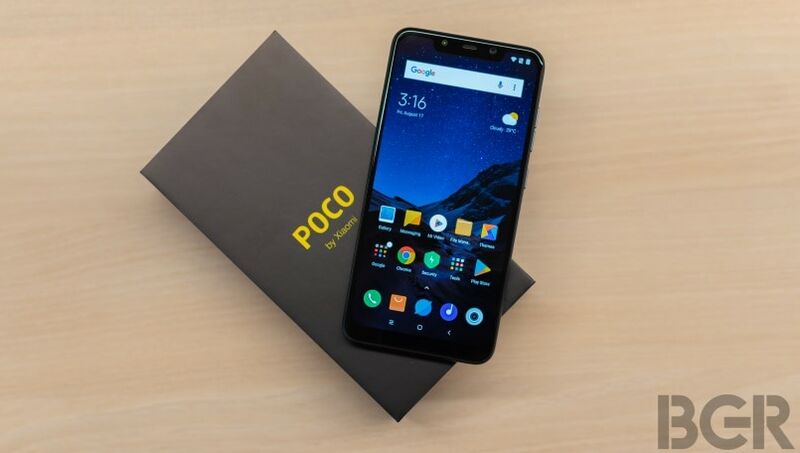 While all three phones are available out of the box with Android Oreo and their respective UIs, the Xiaomi Poco F1 is ahead of the competition with its plans to roll out Android 9 Pie. Furthermore, the more familiar user interfaces of Asus and Xiaomi may be an advantage over the occasionally confusing approach of Meizu’s Flyme OS. A dual-camera setup on a high-end phone is a given these days, and all three phones come with dual-camera setups at the back. The Meizu 16th has a 12-megapixel primary sensor and 20-megapixel secondary sensor for depth-effect shots and lossless zoom. Similarly the Asus Zenfone 5Z has a 12-megapixel + 8-megapixel setup and the Xiaomi Poco F1 sports a 12-megapixel + 5-megapixel setup. The Meizu 16th and Xiaomi Poco F1 come with 20-megapixel front cameras, while the Asus Zenfone 5Z sports an 8-megapixel front snapper. All three phones are capable of 4K video recording, while the Asus and Meizu options also come with 4-axis OIS. The phones also all come with face unlock, but the Xiaomi Poco F1 has an advantage here. The phone comes with IR-enabled face unlock, which allows the user to use the feature even in the dark. In comparison, the Asus and Meizu smartphones feature a classic face unlock system that may struggle in low-light conditions. The Meizu 16th is priced at Rs 39,999, which puts it in firm competition with the Asus Zenfone 5Z (Rs 29,999 onwards) and Xiaomi Poco F1 (Rs 20,999 onwards). While the Xiaomi Poco F1 has a clear price advantage here, the low pricing is for the 6GB / 64GB variant. While the price advantage can’t be overlooked, the Asus and Meizu options do have their own USPs that help make sense of the price difference. The Meizu 16th will be available to buy exclusively on Amazon India, while the Asus and Xiaomi devices are being sold on Flipkart.